Nothing more terrifying than poor gas mileage . . .
It’s Halloween! A time of sweet treats, costume parties, and repeated spins of Jim Stafford’s Spiders and Snakes and Warren Zevon’s Werewolves of London on local radio. The trick-or-treaters will soon dress up and seek out their respective trove of candy treasures. Some of those trick-or-treaters will even be kids. College students in Detroit. You know who you are. Revving up a big muscle car to rattle the bolts of lesser machinery certinately has its allure. However, equally as terrifying is the bill to keep such a muscle car: fuel, tires, washes, fuel, accessories, performance parts, fuel, insurance, tires, fuel, tires, storage, and the list goes on. Did we mention insurance? Instead of painting black marks onto the pavement, might we suggest a little more green for Halloween? Like Nissan Leaf green. Instead of doing the same old Jack-o-Lantern patterns – dark castle, scary kitty, freaky spider, flying bats, funky trolls etc. – why not transform this year’s gourd into a green machine? NissanPartsPlus.com and StoneyKins have created a free, first-generation Nissan Leaf pumpkin carving pattern. The Nissan Leaf. Leafs? Leaves? Photo: Nissan Motor Co., Ltd. 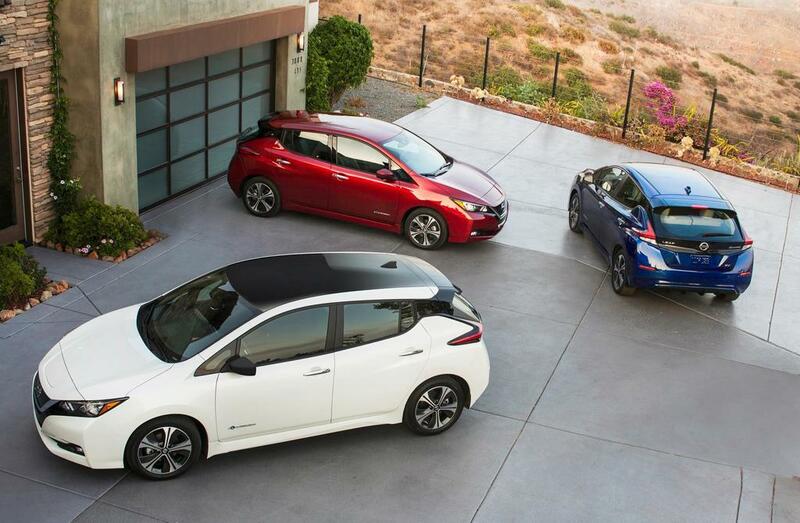 The 2019 Nissan Leaf has an estimated 150 miles of range with its lithium-ion battery pack. Total output stands at 147 horsepower and 236 lb-ft. of torque, an increase of 37 and 26 percent respectively. Among the top features: ProPILOT Assist, which includes safety tech like automatic braking, and the e-Pedal system to bolster more efficient driving. According to Nissan, the individual structures of the laminated lithium-ion battery cells have improved, representing a 67 percent increase in energy density versus the original 2010 model. Incidentally, the new Leaf was named “2018 World Green Car” by the World Car Awards in March. Well said. And the part about the environment was good too. You can grab the free Nissan Leaf carving pattern here. And if you just can’t shake that performance car vibe, here are two others for you. Both free. Happy Halloween! 2018 Chevy Camaro ZL1 1LE pattern. 2018 Subaru WRX STI pattern. 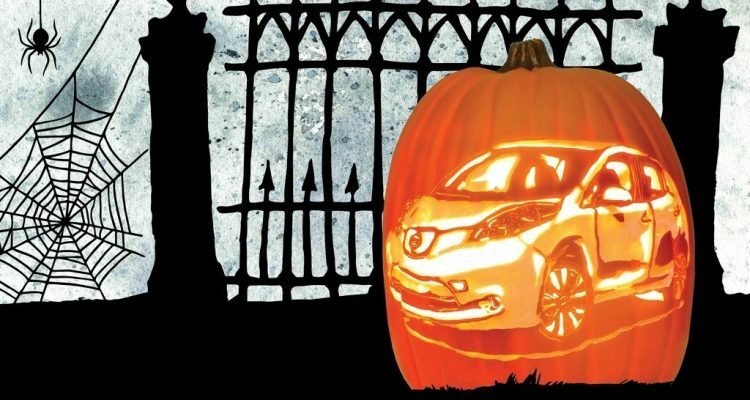 No Comments on "Scare Everyone With This Free Nissan Leaf Pumpkin Carving"